9 Qualities of a Good Team Leader | Transformation Point, Inc. The previous post detailed some strategies and tips for creating a productive team. In this post, we’ll look at what is needed to be a productive team leader. You can have the best, most productive and committed team members in the world, but without a good team leader, it will all fall apart. So what are the qualities of a good team leader? Be clear in expectations. Berkeley Human Resources’ article, Steps to Building an Effective Team, emphasizes the need to establish values and goals and undertake regular evaluations. It’s a fine line: a leader wants to give the team the autonomy it deserves but at the same time not adopt a “sink or swim” approach. A good leader outlines the big picture — what the end goal is — the deadlines for individual stages, and the benchmarks that will be used to monitor progress. And if the project changes, a proactive team leader will alert the rest of the team ASAP so changes can be made to stay on schedule. Be willing to “check the ego.” There’s no “I” in “team” but some team leaders fail to grasp that. 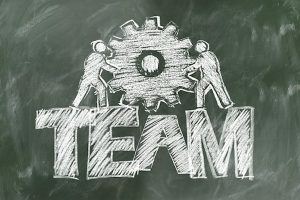 The team becomes an extension of their own personalities and reputation, and they are more focused on the applause they may receive for creating a successful team than on the team itself. Team leaders must accept that they are part of the team — the head, it is true — but still part of it. Everyone is making a contribution and everyone deserves respect and recognition. Be available. 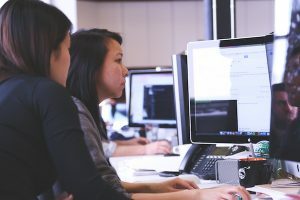 This doesn’t mean that a team leader should micro-manage but at the same time, he or she should be accesible to both give and receive feedback. Issues arise, setbacks occurs and personalities collide, and a team leader should be available to help the team work through it as a group. At the same time, the team leader has to be open to hearing about problems that he or she may have created, such as unreasonable timeframes or inadequate resources. Be inquisitive. According to Gene Wade, founder and CEO of UniversityNow, quoted in 3 Things That Separate Leaders From Managers, while a manager asks “how” and “when,” a leader asks “what” and “why.” In the former circumstance, the focus is on making sure the plan is executed the way it was originally designed. But in the latter, the questions are intended to clarify goals or improve processes. 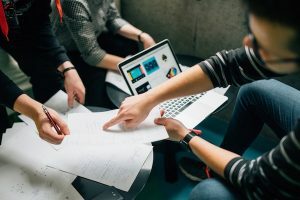 Granted, it’s possible the answer to the “why” might highlight a misstep on the leader’s part, but that too is part of the team process: being open to what the team has identified as a potential problem. Be inspirational and aspirational. Leaders lead by inspiring team members to follow them and by having goals for themselves. Or, as the Call of the Wild article, What Are the Benefits of Having Teams in a Business Environment, put it, “successful teams are led from the front by people who know what they want and can inspire others to achieve greatness.” A frustrated, disheartened or uncommitted leader will breed frustration, discouragement and apathy among team members. After all, if the leader doesn’t care, why should they? But have a leader who knows how to motivate the rest of the people and who has aims and objectives and shares them with the group, and they will be equally inspired.